Outdoor lighting has become a necessary integral part of society. Light pollution is a by-product of outdoor lighting. Light pollution can be reduced by lighting only what is actually needed, when it is needed, and to the appropriate level. This publication discusses the three elements of light pollution, which are sky glow, light trespass, and glare, and gives examples and recommendations for minimizing or eliminating the undesirable effects of each element when designing and using outdoor lighting. We light our outdoor nighttime environment to meet certain societal goals, such as increasing safety and security, enhancing economic development, as well as highlighting historic areas or landmarks of cities or towns. Our society has become a 24-hour society, and nighttime lighting has become a necessity to facilitate using our roadways and downtown areas. 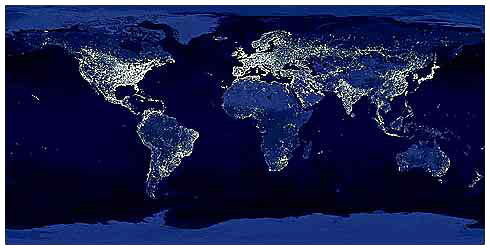 Figure 1 is a composite image that depicts the light emitted from the earth at night. The brighter areas in the figure are regions of higher population density and, thus, more outdoor lighting. Light pollution is a by-product of lighting at night, especially when we use inefficient luminaires and lamps and when we light to excessive levels. We can minimize our impact on light pollution by lighting more efficiently. When we choose efficient luminaires and lamps, fewer lamps may be required to meet the lighting objectives, resulting in less wasted light emitted into areas where the light is not needed.